Startup failure or damage of the Windows Operating system is very common in many portable computer. Such as the netbook and laptop or what we called notebook computer. The common cause is uncommon to the users, might be cause by a VIRUSES or user’s error. That cause to malfunction the OS and became damage or corrupted. And this will cause also to delete the entire partition by formatting the disk drive. And might be the entire user’s files will deleted and cannot be retrieve again. So that this computer will repair and can be use again by the owner or by your customer. Through this event of the computer program, the desktop of the computer cannot be access and the boot-up of the windows will likely stop in the loading of the windows logo. So as a repair man, we need to find a solution to recover the important files before we go on in formatting the hard disk partition. So we need to use the advance recovery options to try recovering the files installed either in drive c: My documents folder or in the drive d: if available. So what you need before to proceed? You need Microsoft Windows Installer to access the Advance Recovery Options. And the external drive DVD ROM. Because this computer have no DVD disk because this is a netbook computer. Connect the External USB flash drive in USB port. Be sure to power-up the DVD drive if needed. Insert the Windows installer in DVD drive. 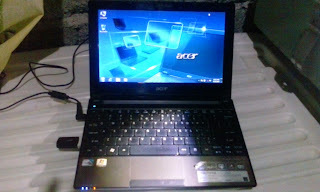 Now power-up the netbook computer and press the key displayed in the screen, ex. press “F2” key. Now once the BIOS system is displayed in the screen, go to boot menu. Change the first boot or the first drive to DVD drive by pressing the key to change the values. Like the F5 and F6 keys. If finish, press F10 key to save. The press “Y” as yes to save BIOS configuration. When “Windows Setup [EMS enabled]” displayed on screen press “Enter”. You will prompted in the options both the Install and repair this computer. Just select to “repair your computer”. Click next button in the next window. Now you will prompted in the System Recovery option window. The MS-DOS windows and the command line will display. Now in the command line called: x:\Sources> type this: bootrec /? or like this what you see. bootrec /? Now you will see instructions that you can repair critical disk structures. They are: /fixmbr, /fixboot, /ScanOs, /RebuildBcd. So run this commands in the command line: you can type this in command like this, where the x:\Sources> is the command line. Example: x:\Sources>bootrec /RebuildBcd then hit the enter key. If successful, click restart button to see the effect. If the startup file, failure again, go back to the step 8-17, and try to use another command to repair, like the /fixboot. If the problem is persist even you tried the two command, you need to format your disk drive now. Be sure to not delete the 2nd partition to avoid deleting the entire files of that Drive. This drive is the important data where the user save its important files. You can leave your questions and comments in the comment bar below.